Magic-10 Engraving Machine MAGIC-10 is a milling processor exclusively for rings that performs many kinds of operations related with ring shaping in quick and easy steps- like milling cylinder-shaped materials, digging out grooves (for jewelries to be placed in), drilling, carving, engraving, millgrain-shaping and etc. There is no need for casting or welding and direct manufacture and producing ring’s outer-shaped minimizes extra processes. Also, high-speed rotating tool cuts and sculpts various metal materials (gold, silver, bronze and etc.) And diamond-tip tool engraves letters on outer/inner of rings and bangles.UseEngraving inner/outer of rings & bangles & cylinder shaped materialsmilling rings, digging out grooves (for jewelries to be placed in), drilling, carving, engraving, millgrain-shaping and etcCharacteristicsProvides solution for ring production like milling, digging out grooves(for jewelries to be placed in), drilling, carving, millgrain-shaping and etc.Automatic digging-out function performs constant digging process in target depth and width with quick and ease.Solution for easy production when cutting and engraving letters on customized rings. Easy use for anyone without skills.Perfect solution for minor production with various types.Provides high-quality system that engraves inner/ outer of bangles.Provides function of engraving and carving inner/ outer of cylinder shaped materials. Millgrain-shaping function. (optional tools are purchased separately)Automatic material height measuring sensor is installed.Laser pointer that adjusts and confirms the location of engraving is installed.Even engraves and sculpts uneven surface of materials.LCD with various functions of operation and monitoring is installed.SPECIFICATION Size 348mm(W) x 309mm(H) x 345mm(D) Resolution (XY) 0.005mm / (Z) 0.00125mm / (A) 0.028125degree Tool Diameter 4mm Rotary Out Diameter 76mm / inner Diameter 35mm Weight 26.5kg Spindle Revolution 15,000 RPM Spindle motor power 27W Power Consumption 60W Power Supply AC 100-240V 50/60HZ ..
MAGIC-10 is a milling processor exclusively for rings that performs many kinds of operations related with ring shaping in quick and easy steps- like milling cylinder-shaped materials, digging out grooves (for jewelries to be placed in), drilling, carving, engraving, millgrain-shaping and etc. There is no need for casting or welding and direct manufacture and producing ring’s outer-shaped minimizes extra processes. And diamond-tip tool engraves letters on outer/inner of rings and bangles. 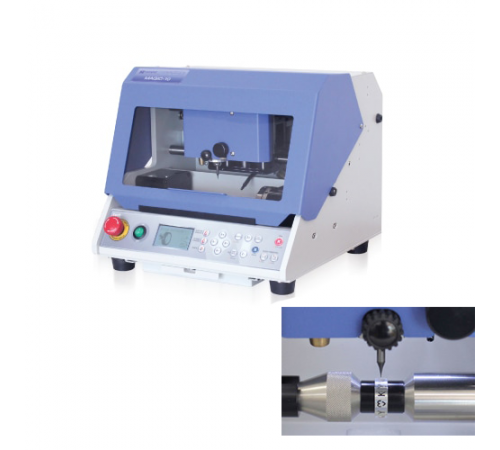 Provides solution for ring production like milling, digging out grooves(for jewelries to be placed in), drilling, carving, millgrain-shaping and etc. Automatic digging-out function performs constant digging process in target depth and width with quick and ease. 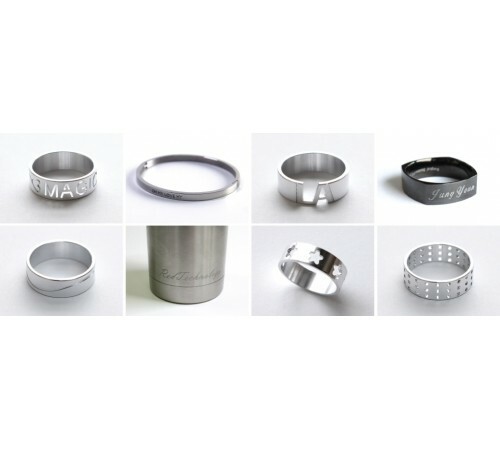 Solution for easy production when cutting and engraving letters on customized rings. Easy use for anyone without skills. Perfect solution for minor production with various types. Provides high-quality system that engraves inner/ outer of bangles. Automatic material height measuring sensor is installed. Laser pointer that adjusts and confirms the location of engraving is installed. Even engraves and sculpts uneven surface of materials. LCD with various functions of operation and monitoring is installed.